Recap: Amazon is set to release its new Kindle, the base model of the titular Kindle family. The 2019 Kindle features a backlight for the first time, although the price has increased from $50 to $90. 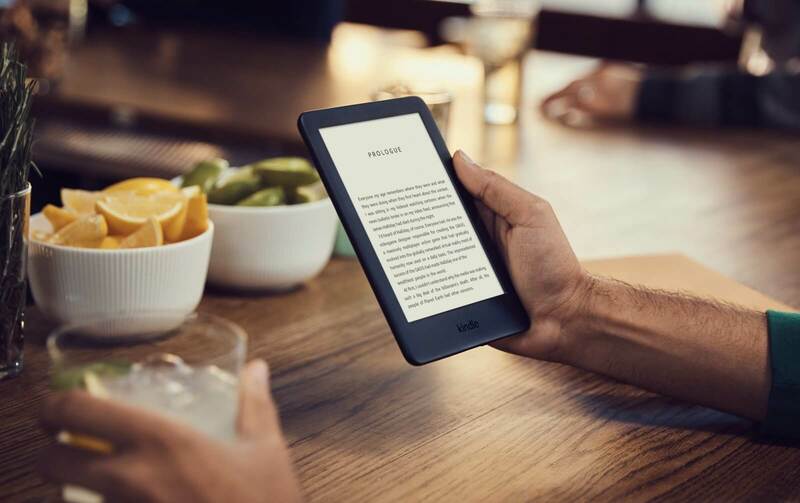 Amazon has announced a new base model Kindle which features a front light, the first time the illumination technology has ever been implemented in an entry-level reader from the company. The new Kindle will replace the previous Kindle, and will increase the price to $89.99. The previous Kindle cost only $50, but did not include a backlight. Brightness on the new Kindle will be adjustable on-screen, allowing readers to find their comfort level based on their surroundings. Other features of the 2019 Kindle include Bluetooth connectivity, allowing wireless headphones for audiobook playback, a sleeker design, and a 6-inch e-ink display. The device still offers weeks of battery life from a single charge. The display, at 167ppi, isn't nearly as sharp as the 300ppi screen on the Kindle Paperwhite, which costs twice as much. Still, the addition of the backlight gives the baseline Kindle a much better experience. As a Kindle aficionado myself, I can say from experience that the Kindle without the backlight is borderline-unusable when reading in less-than-perfect lighting conditions. After getting one for Christmas in 2016, I very quickly replaced it with a Paperwhite. If you're looking to try out an e-reader for the first time, the new Kindle is a much better option than the previous version. Beware though - the Kindle isn't waterproof like its pricier siblings. If you plan to read by the pool, check out the aptly-named Kindle Oasis. You can pre-order the 2019 Kindle starting now, with a release date set for April 10th.